Volkswagen introduced the T-Roc in August 2017, and it has been evaluating this model for India for some time now. According to a report from carandbike, the company has finally reached a decision, and it is to launch the premium SUV later this year. Internationally, the VW T-Roc slots between the VW T-Cross and VW Tiguan. It competes with the Honda HR-V (Honda Vezel). The VW T-Roc will be a stopgap until the company has an even more economical SUV based on the VW T-Cross ready for our market in 2021. The relaxed import norms that allow automakers sale of CKD and CBU imports of M1 category vehicles irrespective of their FOB value and engine capacity without homologating them here are finally paying off. 2,500 is the limit for such imports annually, and in line with that rule, Volkswagen will bring the T-Roc here in small numbers. 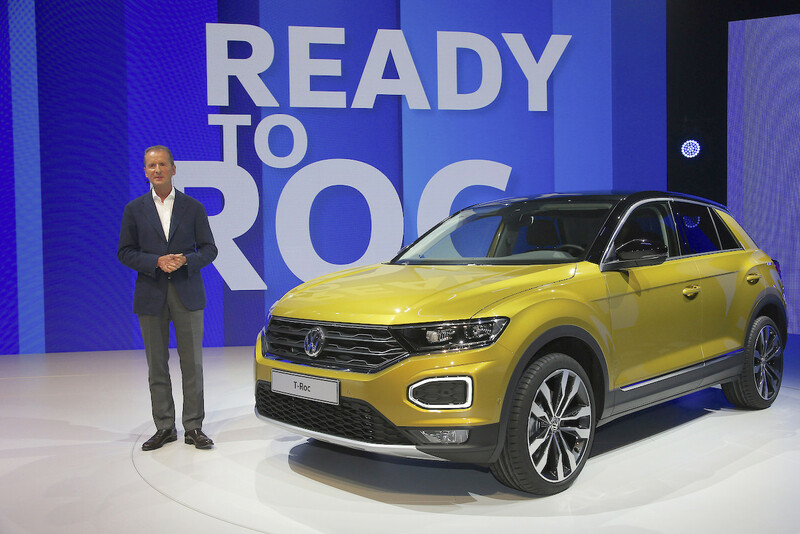 While Volkswagen’s Indian subsidiary continues being secretive on the T-Roc’s Indian launch, people in the know-how in Europe have not only confirmed the launch but also revealed other details. These sources say that the company plans to offer this SUV in our market in only a fully-loaded configuration. For it’s probably going to be used mostly for brand-building, that’s quite obvious. Then there’s also the reason that costing close to INR 20 lakh* and being the most expensive offering in its segment, it will need to justify its exorbitant price tag. Volkswagen’s extensive line-up of SUVs may have gotten some confused. To clarify things in the lower-end, all you need to know is that the company has two B-segment models, one is a small and economic Kia Stonic rival - the T-Cross, and the other is a bigger and more advanced model like the Kia SP2i - the T-Roc. Both measure over 4,000 mm in length. There’ll be a T-Roc Cabriolet also arriving later this year, but that’s not for India. The VW T-Roc is 4,234 mm long, 1,819 mm wide and 1,573 mm (FWD)/1,572 mm (AWD) tall. It has a 2,590 mm wheelbase. The engine line-up includes many small and compact turbocharged engines, starting from the 115 PS/200 Nm 1.0L TSI petrol unit and going up to the 190 PS/400 Nm 2.0L TDI diesel unit. 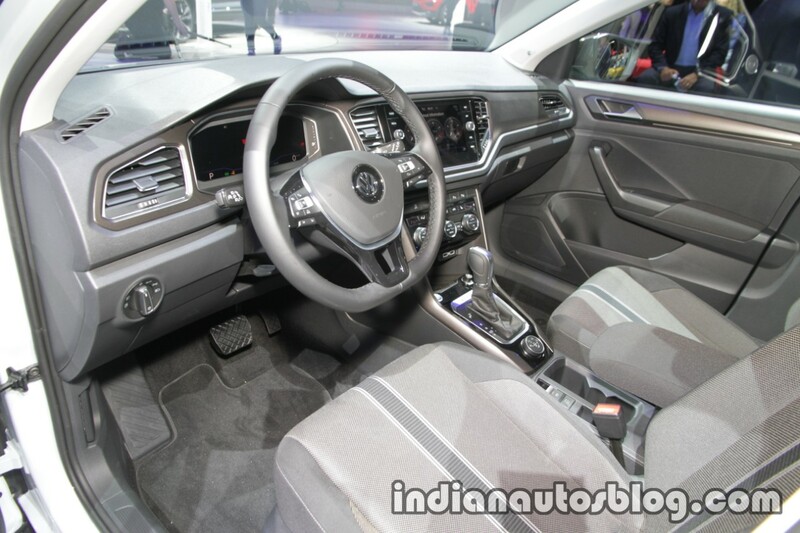 6-speed manual and 7-speed DSG dual-clutch automatic are the transmission choices, and the 4MOTION AWD system is optional. In India, Volkswagen will offer the T-Roc with only the 2.0-litre TSI petrol engine that produces 190 PS and 320 Nm of torque. Interestingly, the configurations the company manufactures with this engine get 7-speed DSG and 4MOTION AWD as standard. This might undermine the much more expensive and upper-segment Tiguan here, which comes with the same transmission and all-wheel drive system, but a basic 143 PS/340 Nm 2.0-litre TDI diesel engine. On the outside, the VW T-Roc features dual-LED headlights, LED DRLs, 16- to 19-inch wheels, LED tail lights and bi-colour paint. Interior highlights include 11.7-inch fully digital touchscreen infotainment system, 8.0-inch touchscreen infotainment system with sat-nav, two-zone automatic climate control, largest in segment panoramic sunroof, heated steering wheel and front seats, wireless charging, 8-speaker sound system and dual-tone colour scheme. Volkswagen will offer the T-Roc in India in only a fully-loaded configuration. If the demand is strong enough, Volkswagen could locally assemble the T-Roc from imported knocked-down kits or manufacture it, after 2020. At launch, it’s arriving as a CBU import sourced from Portugal, where production takes place at the Palmela plant. For pricing it under INR 20 lakh*, the only way it would make some sense in our market, the company will likely have to absorb some of the tariff costs.